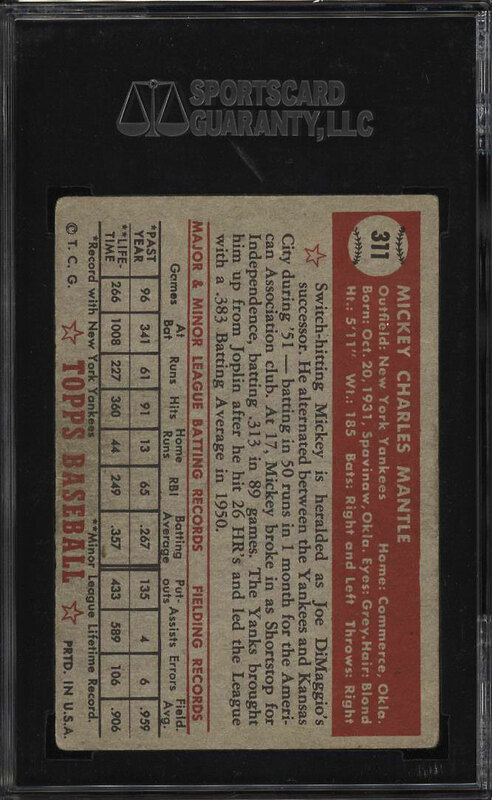 Highly attractive VGEX example of the '52 Topps #311 Mickey Mantle. 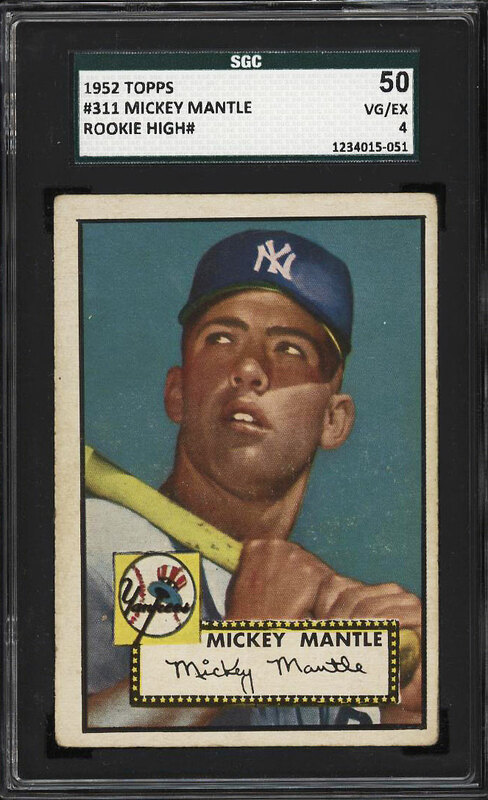 One of card collecting's greatest classics with the iconic card representing Mantle's Topps rookie as well as the important kick-start to the high-numbers. The offered '4' displays magnificent print, color and focus for the grade. Attractive cream colored borders with smooth edges and mostly square corners. Light wear is present on the front surface which downgrades. The single most important and valuable post-war cards in the hobby. Deserving of serious attention. One of over 18,000 cards, lots and sets up for bid in our 6th Auction of 2018. Click on the link above to view the other PWCC auction lots.